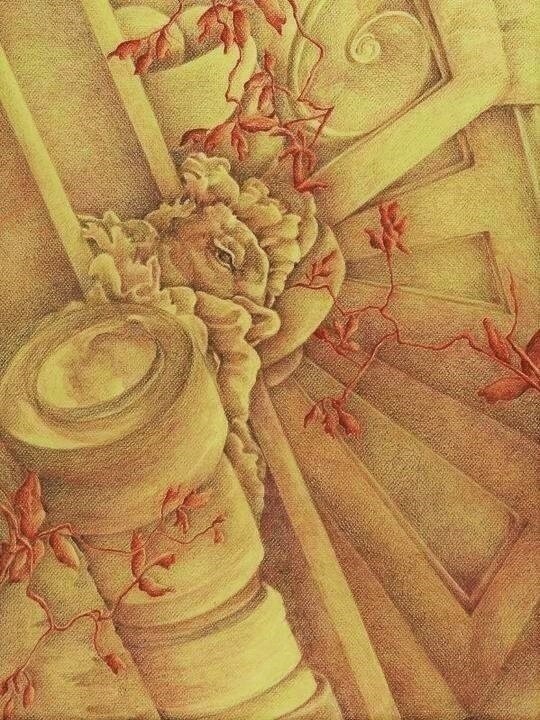 A drawing from awhile ago of a sculpture on the face of Pillsbury Hall on the University of MN campus. 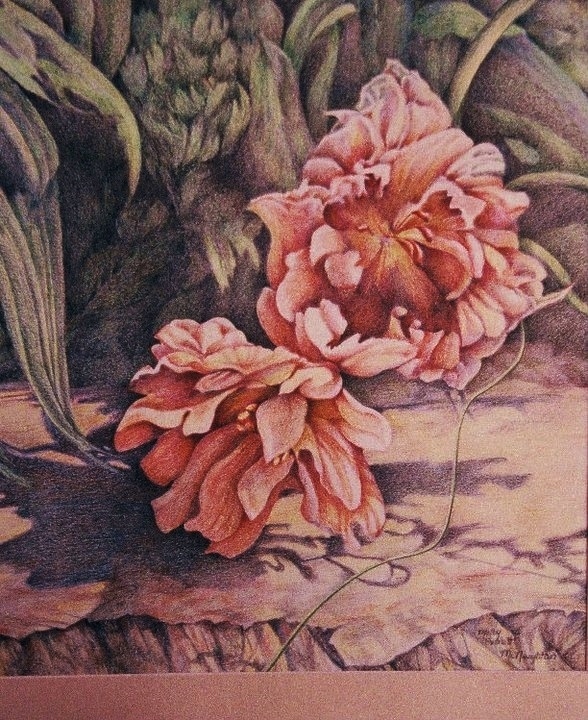 This is from another vantage point and is in colored pencil with Conte’ crayon on Canson paper (the rough side). I will be recommending books that I believe will help you along your journey of self discovery through drawing and will start with my book the Little Book of Drawing; a Friendly Approach. This book is unlike others in that it highlights the contour line as the framework for your personality and emotion, composition, and reveals form and depth. My drawing of Lauren illustrates the importance of the contour. Notice that my contour is unique with its curvilinear quality and quirkiness. Yours will be much different. 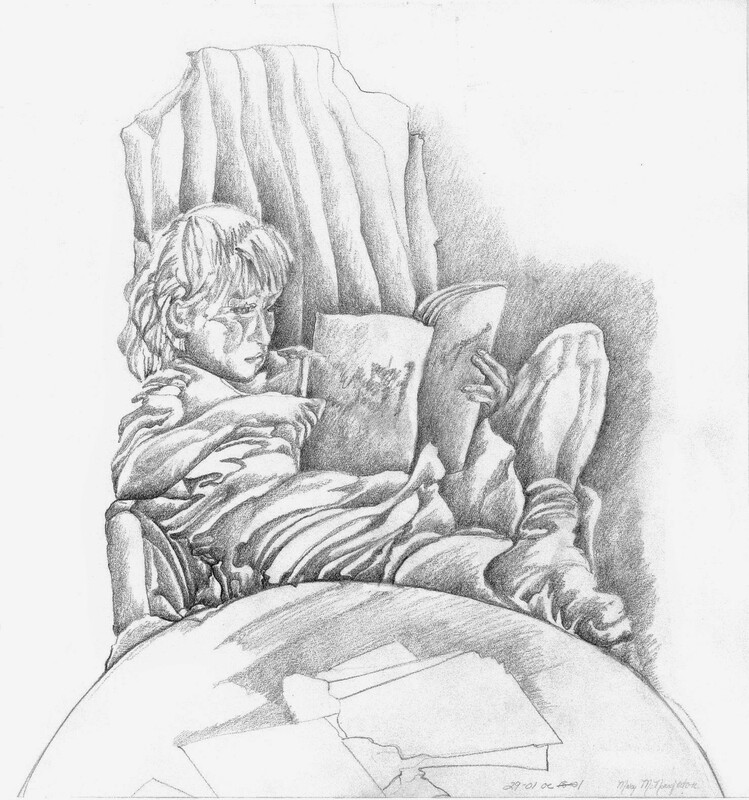 By allowing your hand and pencil to become an extension of your eye, you lose your inhibitions and connect with the subject. 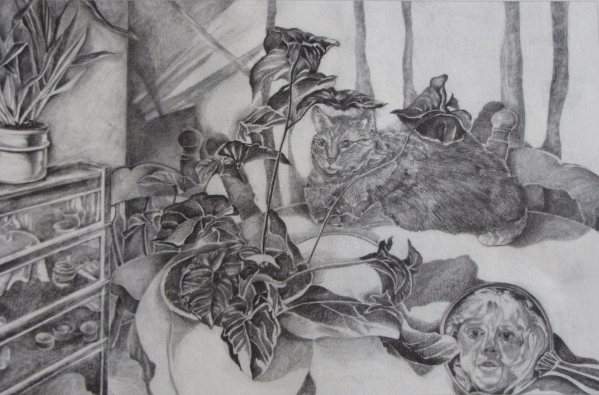 This gradated pencil drawing allows that line or contour to show through. 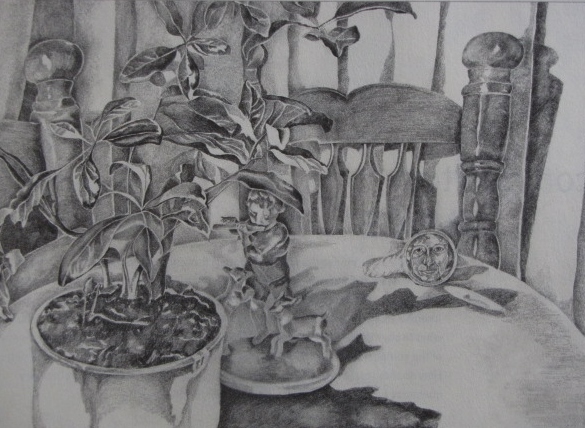 This still life drawing in pencil also speaks to the subject of reflection. Our big red tabby, Jake had to get in on the action and so I incorporated him into the composition. 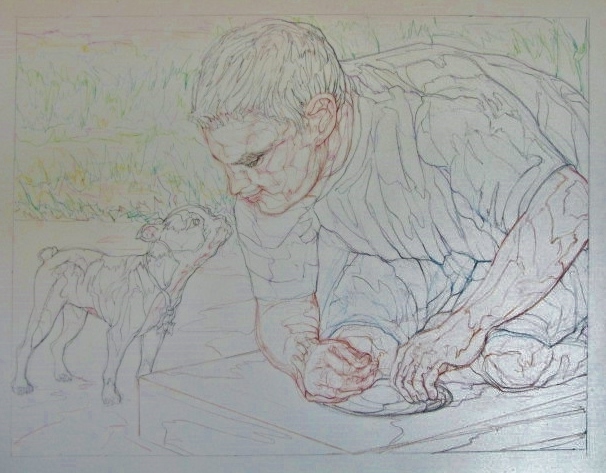 This is the contour for a drawing of our grandson Joe and his Boston Terrier Frankie. This is the stage where I get in all of the crucial information and provides the framework for the finished gradations. Taken into account is the light source, area of focus, and a true sense of form or what is three dimensional about my subject. 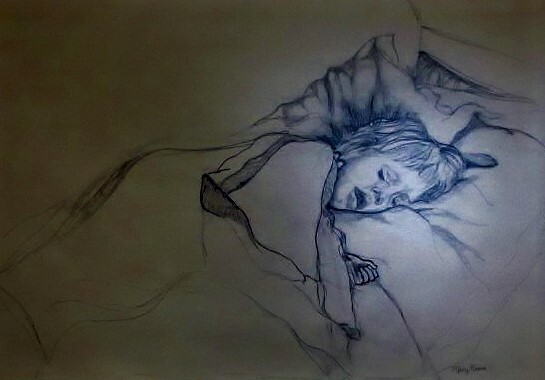 You are currently browsing the drawing technique category at Dr. Mary McNaughton and Drawing.